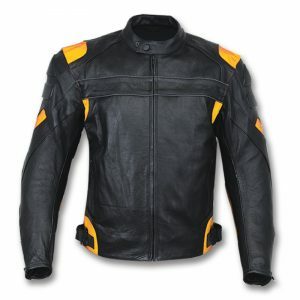 We manufacture Leather Motorcycle Jackets for your brand. In the world of fashion, the leather biking jackets have got an eminent place. These super stunning and brilliant Leather Motorcycle Jackets differ from the other jackets because it is being made up of the most reliable and worthy stuff. People who love to enjoy riding should keep the most appropriate yet trendy products with them. One of them is the leather biking jacket. Shopington provides 100% customised leather biking jackets in order to give a touch of a thrill to your biking experience. Now, no more worries about getting the right wear for the biking. The Leather Motorcycle Jacket is itself extraordinary and damn stylish. The availability of these in the brilliant and captivating colors make it the mesmerizing and the most delightful product. These are designed in a creative way which makes you the heartthrob of many. 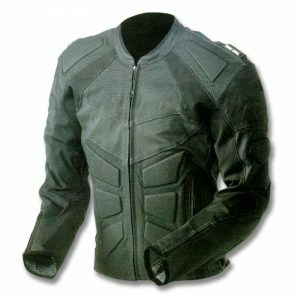 We manufacture the leather motorcycle jackets with cowhide full grain leather. 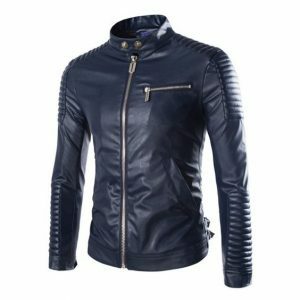 It’s zipping and the elegant pockets are marvellous which ensures the great durability and reliability to the leather biking jacket. These are resistant to water, heat, dirt, dust, fire, and abrasions. These adorable motor bike jackets give a professional look to your body. It is such a masterpiece which would impress the people and turn the heads of many towards you. Padded covering inside the jacket provides you a great sense of comfort. It prevents your body from any kind of injury during the ride you face while riding on rough paths. It also keeps your body warm in the chilly weather. It is available in a number of sizes. Get it in the size which suits you the best. Shopington offers an exclusive and extensive range of leather motorcycle jackets to the bike lovers at the most economical price. You may also enjoy the mega discounts on the purchase of bulk orders. The minimum quantity of the products to be purchased is of 50 pieces.